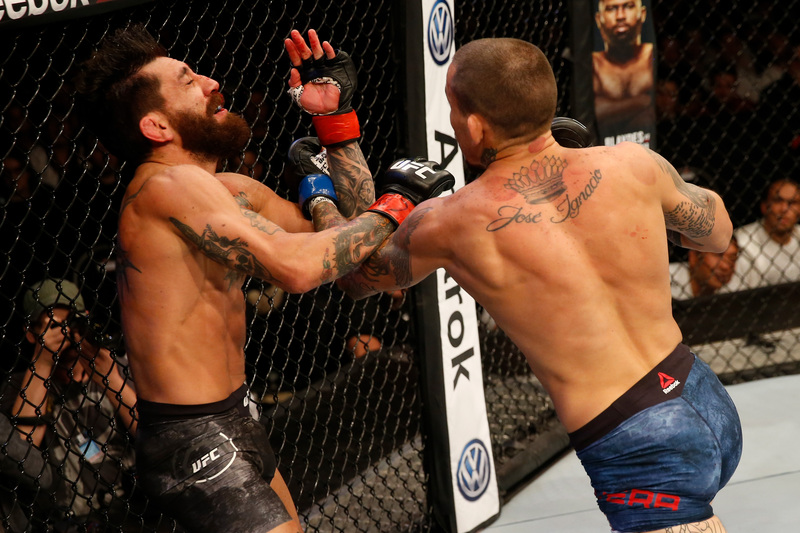 Marion Vera vs Guido Cannetti UFC Fight Night Nov 17, 2018 (16:26) Marion Vera vs Guido Cannetti UFC Fight Night Magny vs Ponzinibbio from November 17, 2018 in Buenos Aires, Argentina. 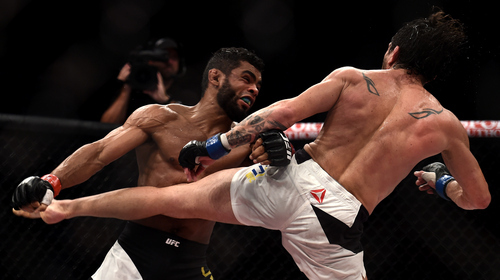 Guido Cannetti vs Diego Rivas UFC Fight Night May 19, 2018 (25:37) Guido Cannetti vs Diego Rivas at UFC Fight Night: Maia vs Usman from May 19, 2018 in Santiago, Chile. 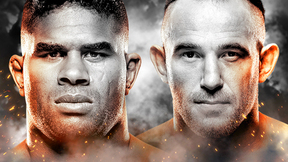 Kyung Ho Kang vs Guido Cannetti UFC Fight Night Jan 14, 2018 (12:01) Kyung Ho Kang vs Guido Cannetti UFC Fight Night: Stephens vs Choi from January 14, 2018 in St. Louis, Missouri. Alejandro Perez vs Guido Cannetti The Ultimate Fighter: Latin America Oct 22, 2014 (5:35) Alejandro Perez vs Guido Cannetti from the tenth episode of The Ultimate Fighter: Latin America in 2014. 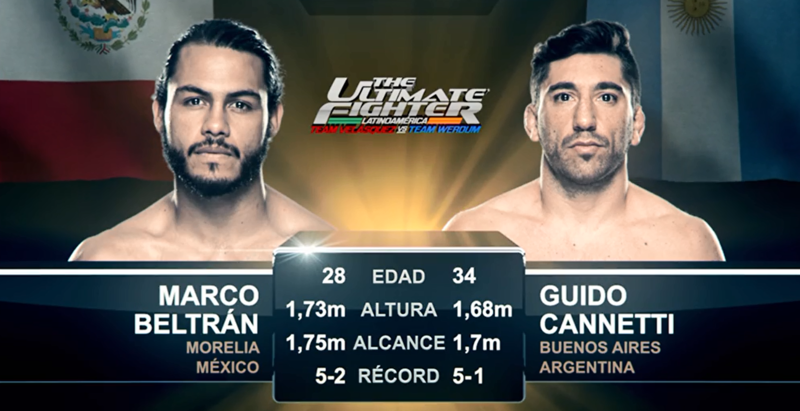 Marco Beltran vs Guido Cannetti The Ultimate Fighter: Latin America Oct 1, 2014 (16:37) Marco Beltran vs Guido Cannetti from the seventh episode of The Ultimate Fighter: Latin America in 2014. Guido Cannetti vs Hugo Viana UFC 190 Aug 1, 2015 (25:17) Argentina's Guido Canetti steps in the Octagon with Hugo Viana in hopes of getting his first UFC win. 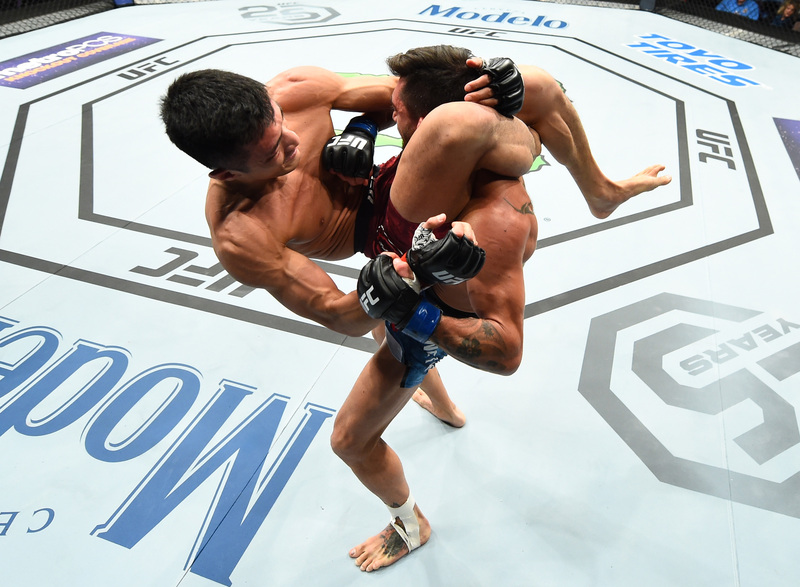 Henry Briones vs. Guido Cannetti UFC 180 Nov 15, 2014 (18:36) After competing on The Ultimate Fighter: Latin America, Henry Briones and Guido Cannetti make their UFC debuts against each at UFC 180.